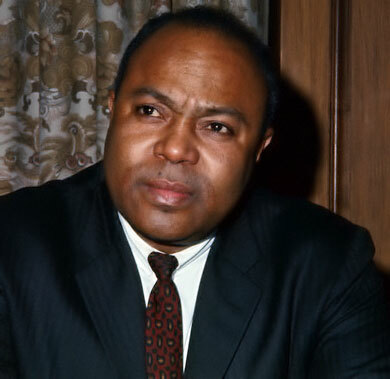 1920 – James Farmer Born. James Farmer was born on this date in 1920. Farmer was a Civil rights leader born in Marshall, Texas. He initiated and organized the 1961 Freedom Rides, in which civil rights activists rode interstate buses into segregated states. The United States Supreme Court had ruled in Irene Morgan v. Commonwealth of Virginia (1946) and Boynton v. Virginia (1960) that segregation public bus transportation was unconstitutional. Thus, the Freedom Rides were intended to challenge the non-enforcement of those rulings. Farmer later served as the co-founder National Chairman of what would become the Congress of Racial Equality (CORE), and organization that called for the use of non-violent protest against segregation in the United States. 1944 – “Smoking Joe” Frazier Born. Joseph “Smoking Joe” Frazier was born on this date in Beaufort, South Carolina. 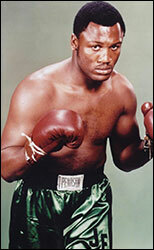 Frazier won a gold medal in the 1964 Olympic games and would become one of the top heavyweight boxers of his time. He became the undisputed Heavyweight Champion when he defeated Jimmy Ellis in 1970. In what many called the “Fight of the Century,” he defeated Muhammed Ali in match at Madison Square Garden in 1971. Frazier would finish with a professional record of 32 wins (27 by knockout), four losses and one draw. He was inducted into the International Boxing Hall of Fame as well as the World Boxing Hall of Fame and was named among the top ten heavyweights of all time by the International Boxing Research Organization. Frazier died from liver cancer on November 7, 2011.